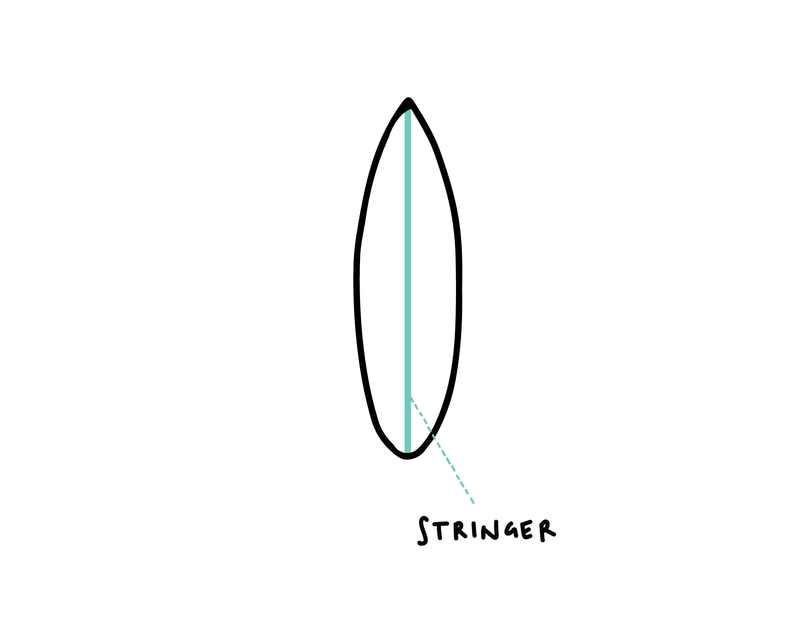 The Chicken Wing Technique: How to do your take off on a smaller Surfboard. Taking off on smaller surfboards, such as shortboards and fishes, is commonly done with a different technique than the one used to stand up on longboards. 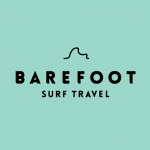 The main reason is because your feet do not touch the tail of the surfboard when you are lying down on your chest and paddling into a wave. Therefore, you must bring your back foot up onto the surfboard’s tail, using the “chicken wing” technique. 1. Paddle until you really have caught the wave. 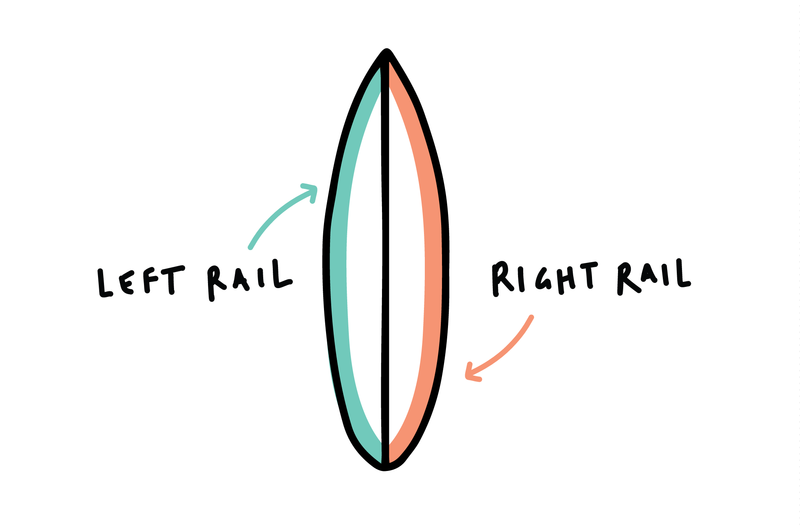 This might sound obvious, but for those who are just starting to ride shorter boards, it is important to keep in mind. 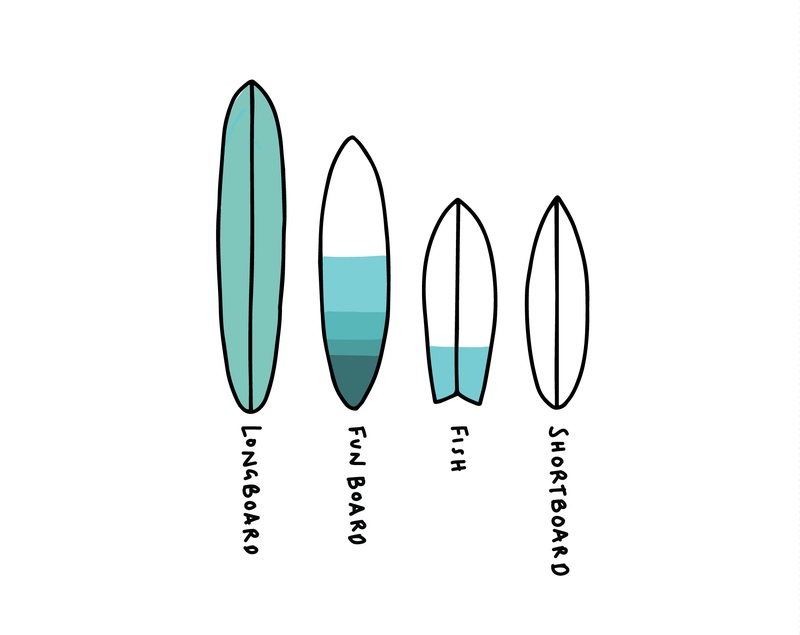 Your shortboard will move with less speed and less stability than the bigger boards you used to ride. You need a proper paddle technique. Give those 2 extra paddle strokes to really match the speed of the wave before popping up. 2. Push your chest up. Once you catch the wave, place your hands flat on the surfboard, besides your pectorals. You want to “push your upper body up” (only your shoulders and chest). Your hips and legs should still lay on the surfboard at this point. 3. Bring your back foot on the tail pad in the “Chicken Wing position”. You want to place your back foot on the tail pad. To do so, slide and bend your back knee out to the side of the boards rail. 4. Push up using your back foot and your hands. 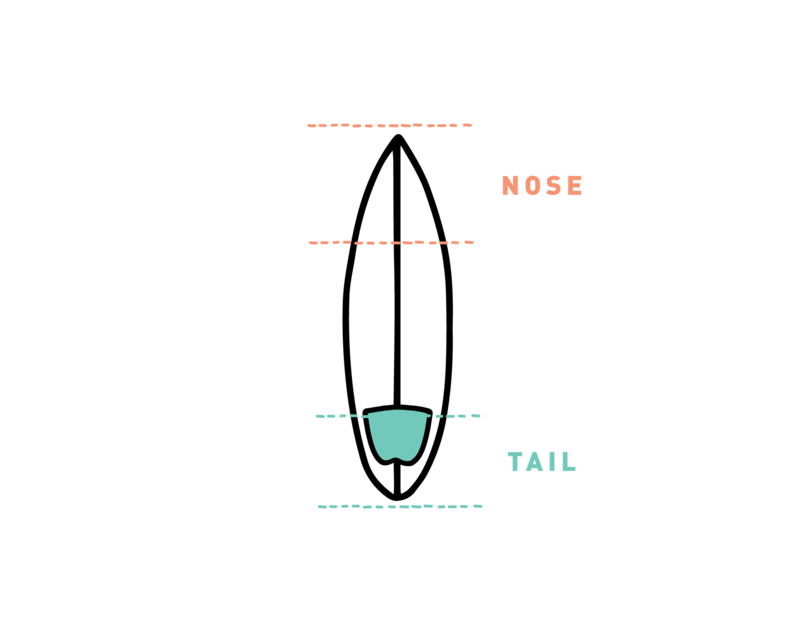 Once your back foot is firmly placed on your surfboard’s tail, you can push your whole body up and over the surfboard. At this step, only your back foot and your two hands are touching the surfboard. 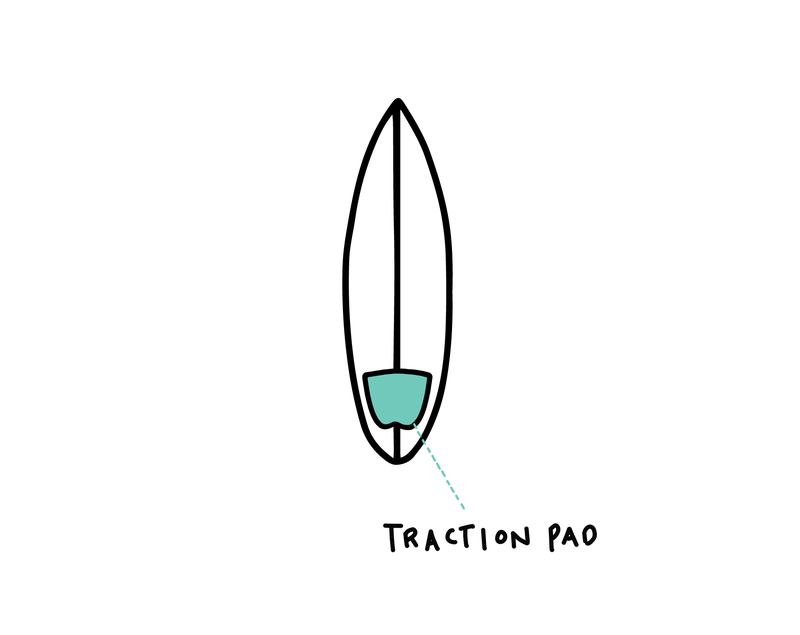 This creates the necessary space between your body & the surfboard for the next step: bringing your front foot forward. 5. Bring your front foot forward. 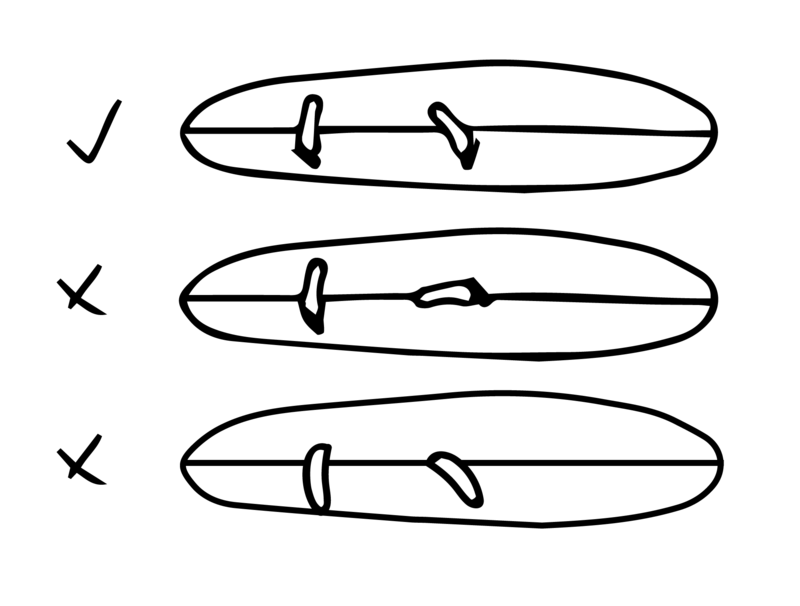 Throw your front knee forward towards your chest and place your front foot on the surfboard. It should land about 1 or 2 inches lower than the palm of your hands. 6. Once you feel stable and comfortable, stand up. Keep your lower body compressed: make sure your knees and hips stay low and that you are looking where you want to go. Before and after standing up, keep your feet positioning in mind. The distance between both your feet should be your shoulder’s width or slightly more. Your front foot shouldn’t have more than a 45-degree opening. Both your feet should be perfectly placed on the width of the board, with your feet arches over the stringer (the line in the middle of the board). Don’t release the hands too early. Many beginners and intermediates try to stand up too fast. They take their hands off the surfboard without having enough control. It’s very easy to lose your balance on a shorter board, especially if you don’t use your hands to help your balance all through your take off. Don’t try to “throw” both your feet at the same time on the shortboard. Novice surfers commonly think that advanced riders “throw” both their feet on the surfboard in one quick movement. If you look closely in slow-motion, even professionals usually bring their back foot on their tail pad, then they bring their front foot forward onto their surfboard. They do it so quickly that it seems like only one movement. If you can, take that extra half second to make sure you place your feet correctly. Don’t “jump” abruptly on your surfboard two feet at a time, you will lose your balance on a shortboard.